If you are an avid fan of Maria Paseka, you'd know that she has been dealing with serious injuries as long as we can remember. The Russian gymnast, who is now in Germany undergoing a medical check up, gave an interview to vtbrussia.ru, where she talked about her health issues. The 22 year old gymnast revealed that she has been suffering from pain since she was 13 years old. In Germany, she wants the doctor who treated compatriot and bobsledder Irina Skvortsova, to operate on her back. Skvortsova was left fighting for her life following a high speed collision during a training run in Germany back in 2009. She sustained over 30 critical surgical interventions and spent eleven months in the hospital, two of which in an induced coma, before making a full recovery. "Her case was very complicated and this doctor ended up being practically the only one who said he’d be able to put her back on her feet," said Paseka. "I trust him." While she can train with her injuries, she is tired of being in pain all the time. "The thought of having to go to the gym again, putting all these heating balms on my back that I’m already allergic to… This thought isn’t very inspiring." Paseka has also added that she will be facing serious problems if she were to give birth. Despite the injury, she is not thinking of retirement. Maria Paseka and Viktoria Komova are the only gymnasts on the Russian London Olympic team who have no children at the moment. Anastasia Grishina gave birth to a baby boy in 2016 while Aliya Mustafina and Ksenia Afanasyeva had their children in 2017. Mustafina, whose last competition was the Rio Olympic Games, officially announced her comeback and is set to compete at the Russian championships next year. According to Paseka, Afanasyeva is considering a comeback. However, the two time World champion said that she would never return to the sport after she gives birth. 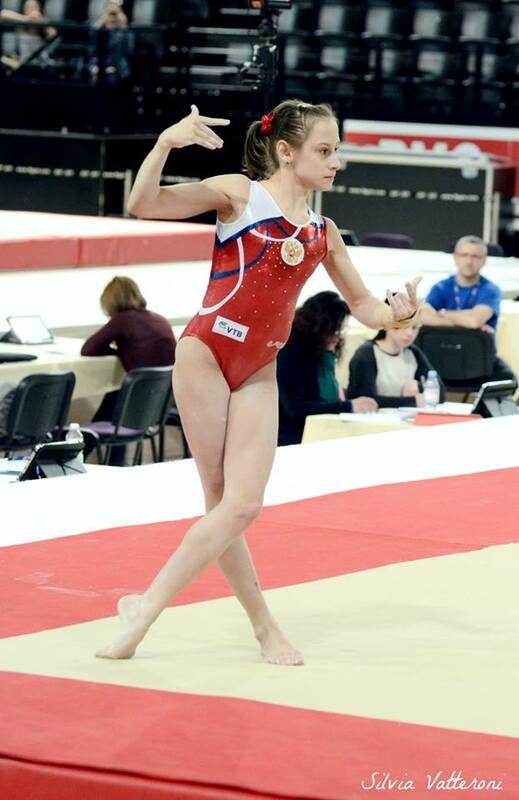 Russian gymnast Viktoria Komova is set to debut her comeback at the Vornin Cup which will be held in December. Komova aims to compete on all four events at the competition which will be her first since the 2015 World championships where she won gold on uneven bars. The 22 year old gymnast suffered from immense back pain which forced her to miss not only the 2016 European championships but also the Olympic Games. The back injury, which she has called her worst, prevented her from going to the gym for eight months which had her believed that her sports career has come to an end. She returned to the sport once her doctors gave her medical clearance. The two time Olympic medalist told tass.ru that she has regained fifty percent of her routines and that she had to make some changes in order to put less pressure on her back. Teammate and 2017 European floor champion Angelina Melnikova will as well compete at Vornin Cup. Russian gymnast Angelina Melnikova has accidentally liked an Instagram post that says her teammate Maria Paseka was overscored on vault at Montreal's event final. "Maria Paseka was so overscored in vaults finals especially in her first vault," the post says. It is widely believed that Melnikova does not speak English hence 'no throwing shade intended'. In Montreal, Paseka successfully defended her World title on vault. Along with Canada's Shallon Olsen, the Russian gymnast had the most difficult vaults in the competition. She performed Cheng (6.0) and Amanar (5.8). Paseka has always been criticized for her form on her vault, however, she recently said in an interview that she will work on having it improved. Melnikova took part in Montreal where she finished in 16th place in the all around. A listed Russian gymnast Aliya Mustafina believed that compatriot Elena Eremina was going to make the podium at the all around competition of the World championships which was held in Montreal, Canada this month. The double Olympic champion said during a TV interview that she knows Elena and that a "tiny" bit of luck on her side would help her become a World all around medalist. "I expected it, specifically from Lena I expected it because I know her personality and I knew that a tiny bit of luck on her side today will definitely have her make the podium " said Mustafina. "[Her medal] is a result of her work because even though her competitors made mistakes today, they weren’t major ones." Aliya added that Eremina showed continuous improvement during the all around competition. Eremina qualified to the all around in seventh place. In the final, she won a bronze medal behind US Morgan Hurd (Gold) and Canada's Ellie Black (Silver). Her biggest mistake was on uneven bars where she lost points for severely bending her knees and losing connection. She received a score of 14.200, 0.8 points less than her scores in the qualification and event finals. Aliya suggested that the mistake took place because Eremina has only recently started training the difficult combination and that gymnasts need to repeat their skills and combinations as much as they can in order to successfully compete it. In the same TV interview, Aliya's teammate and 2016 Olympic silver medalist Seda Tutkhaylan said that Eremina's all around medal win was a stroke of luck. Yesterday, Russia's Maria Paseka has successfully defended her World title on vault. Thanks to having two of the most difficult vaults, Paseka managed to beat all of her competitors. The Russian gymnast revealed that she thought she would not win gold after landing her first vault, the Cheng, too low. "I could’ve done the first vault better," Paseka told Tass.ru. "But I had too much adrenaline and ran a bit harder than needed. And when I was landing, I felt that the mat was too close to my face. I thought that the landing was low which lowers the score." Her second vault, the Amanar, was well performed. Paseka and Canada's Shallon Olsen had the highest difficulty in the competition. Nevertheless, Olsen suffered a fall on her Amanar and finished in seventh place. Her gold medal win comes after a series of disappointments this year. At the European championships, she fell short of the podium, finishing fourth on vault while at the Universiade Games she settled for a bronze after falling on her Amanar. Her performances resulted in Russian head coach Valentina Rodionenko expressing her disappointment towards the gymnast in the media. The double World champion told Gymcastic that her long break after the Olympics made her nervous and scared but she did not need to as she performed 'very well'. Paseka declared that she is not retiring and that her goal is to win an Olympic gold. “All in all, I really want an Olympic gold on vault. And then, whatever God gives me”. The 22 year old gymnast won bronze on the event At 2012 London Olympic Games, she was upgraded to a silver medal at the Rio Olympic Games. Russian gymnast Aliya Mustafina expressed her delight to have a competition named in her honor. The Aliya Mustafina Cup is a competition for gymnasts whose ages range from 8 to 12. About forty gymnasts took part in it. Gymnasts Nelly Audi, Alida Sadykova and Anna Kalmykova have taken gold, silver and bronze respectively, while Dynamo club claimed first place in the team competition. The double Olympic champion told stadium.ru that such competitions were to her the Olympics when she was a child, hence she hopes that it will benefit the young gymnasts. On her comeback, she said she feels as if she has just started out gymnastics. She added that she only came back to the sport for her desire to compete at Tokyo Olympic Games in 2020. She has set her eyes on debuting her comeback at the next European championships which will be held in August. Mustafina's last competition was the Rio Olympic Games where she won gold on uneven bars, silver with her team and bronze in the all around. She got married three months after the Olympics and gave birth to a baby girl last June. Russian head coach Valentina Rodionenko has surprisingly complimented US gymnasts according to Gymnovosti. Rodionenko, who is known for denigrating American gymnastics, said the the current generation of US gymnasts do not only show difficulty but also beauty. The new US team coordinator is Valeri Liukin who trained in Moscow since he was seven years old and competed for Soviet Union at 1988 Olympics. Valeri is the father of US Nastia Liukin whom he coached to an Olympic all around gold medal in 2008. Gymnastics blogger Luba Baladzhaeva pointed out that US team coordinator having Soviet origin may have soften Valentina's heart. However, the Chinese gymnasts were spared. The Russian head coach called them "sneaky" explaining that they are secretive and do not often compete at international competitions other than Worlds. The World championships will start next Monday. Russian gymnast Aliya Mustafina has released her very first training footage of her comeback. The video, which is sped up, shows Mustafina taking baby steps on the uneven bars with the help of coach Evgeny Grebenkin. She captioned the video "My favorite bars, one year later". The double Olympic champion has started her comeback journey earlier this month after three months of giving birth to her daughter Alisa. 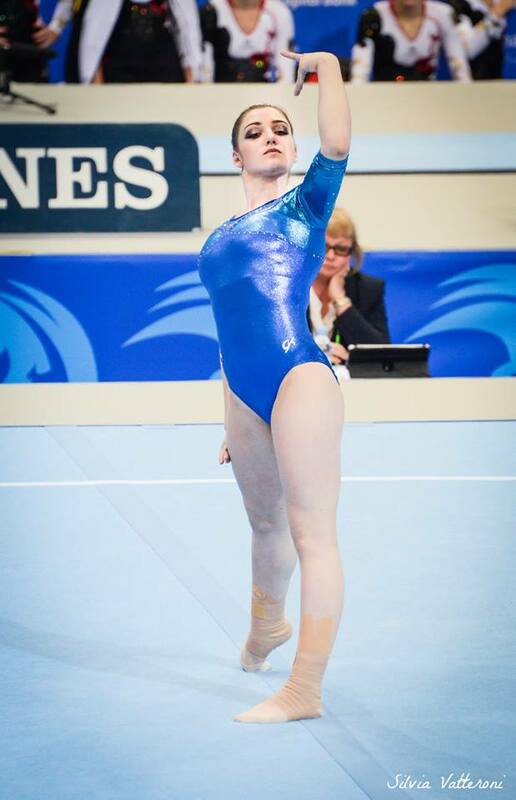 Aliya is set to debut her competition comeback at next year's European championships which will be held in August. However, National head coach Valentina Rodionenko said that her comeback might move forward and be debuted at the Russian championships in April. Last week, reports of Russian gymnasts Anastasia Ilyankova and Maria Paseka being injured surfaced on the internet. The first is suffering from back injury while the second is suffering from back and knee injuries. Nonetheless it has been confirmed that both gymnast will compete at the upcoming Worlds which will be held in Montreal, Canada between October 2 and 8. Ilyankova's back injury is an aggravated spinous process one. National head coach Valentina Rodionenko had said before that Ilyankova would go to Worlds if she was given medical clearance. Paseka has a history of back injuries where doctors advised her to quit the sport but she refused. She previously revealed that she quit artistic gymnastics once and tried tumbling. Teammates Angelina Melnikova and Elena Eremina will compete on all four events while Ilyankova will compete beam and bars and Paseka will compete on vault. Montreal will be Ilyankova's first Worlds and Paseka's second. Paseka will go as the defending World vault champion. UPDATES: Ilyankova's participation is till in doubt and that the final decision will be announced on Friday according to an interview with Rodionenko published by rsport. LAST UPDATES: Rodionenko announced that Ilyankova would compete at Worlds as expected since her back pain is gone and she is able to fully train her routines. First year senior Anastasia Ilyankova is suffering from the same back injury her teammate Maria Paseka has been suffering from. 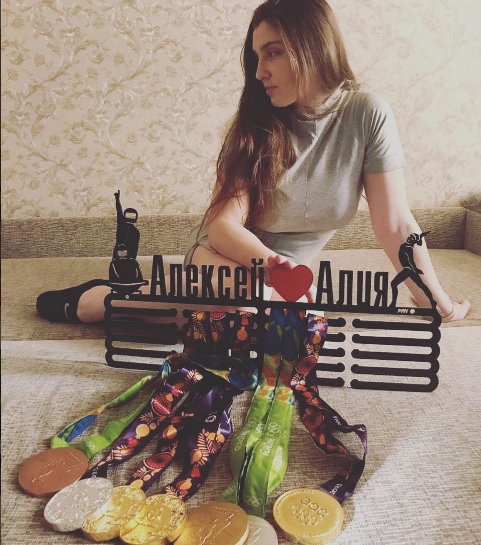 Illyankova has an aggravated spinous process injury which might jeopardize her chances of competing at the upcoming Worlds which will be held next month. Rodionenko said a decision will be made regarding Ilyankova's status on the Worlds team in a week after consulting with the doctors. Kharekova is strong on beam and floor, while Akhaimova's strongest events are vault and floor. In other news, it is said that two time Olympic vault medalist Paseka is going through back and knee injuries, she sustained while competing at the 2017 Universiade Games. In addition to Ilyankova and Paseka, Angelina Melnikova and Elena Eremina were named on the Russian Worlds team. 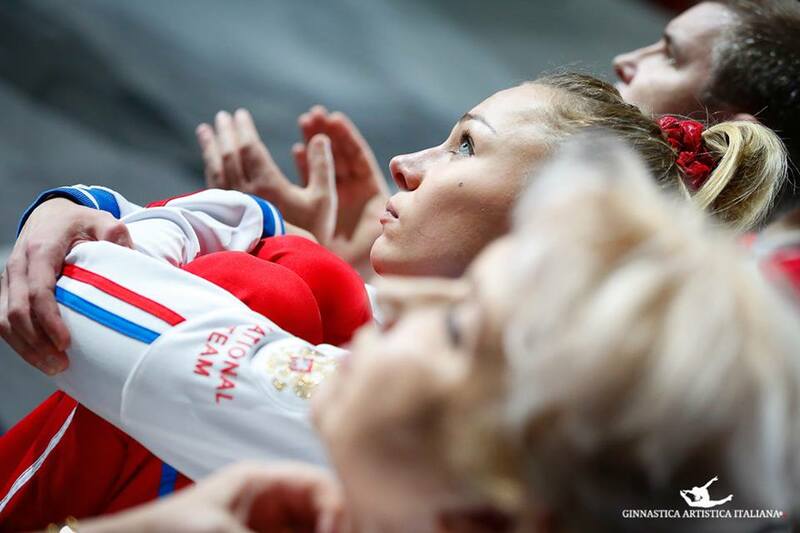 Russia's head coach Valentina Rodionenko is highly impressed with Mustafina's level of motivation. 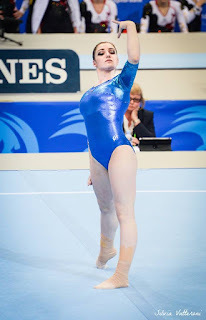 Rodionenko said that she is fascinated by Mustafina's dedication and determination towards her comeback to the sport. She has also praised her strong character. On September 3rd, the Russian gymnast returned to round lake to start her comeback journey after only three months of giving birth to her daughter Alisa. Rodionenko stated that Aliya, whose training is going well, desires to compete earlier than expected. The two time Olympic champion's plan was to debut her comeback at next year's European championships which will be held in August. However, according to new reports her comeback competition debut might move forward to April where the Russian championships will take place. For now, it is expected of Aliya to compete on uneven bars and balance beam in her comeback debut. Nevertheless, the possibility of competing on all events is not excluded. In the meantime, the 22 year old gymnast prefers training alone while the coach checks on her from time to time. Aliya is pushing herself and wants to increase training loads but Rodionenko disagrees and wants her take it one step at a time. It seems that we are going to see Alla Sosnitskaya compete again internationally but this time under the Georgian flag. The Russian born gymnast is considering switching nationality to Georgia, a country in the Caucasus region which is bordered to the north by Russia. The president of the Georgian gymnastics federation, Beso Gamsahurdia told TASS that if Alla eventually decided to compete for their country, the transition process will be completed in mid October. She won't be able to compete at the upcoming Worlds since it will be held in early October. A gymnastics competition will take place in Tbilisi, capital of Georgia, in October. She will be expected to compete there, if she got naturalized. The Russian Gymnastics Federation announced that they will permit Alla to switch nationalities. She is not the first Russian gymnast to leave their country for a better future. 2004 Olympic bronze medalist Anna Pavlova and 2011 World silver medalist Yulia Inshina started competing for Azerbaijan in 2013. Last July, Sosnitskaya competed for Georgia in a small competition, Sikharulidze Cup. There she won gold on vault, beam and on floor, silver in the all-around and bronze on bars. Sosnistakya turned senior in 2013. She competed at 2014 European and World championships. She won bronze with the Russian team at both competitions. The following year, she was set to compete at European championships but withdraw due to injury. Since then, she has never competed at a major international competition. Russia has finally confirmed their Worlds team. Elena Eremina, Angelina Melnikova, Anastasia Ilyankova and Maria Paseka are set to represent the country at the upcoming Worlds which will be held in Montreal, Canada between October 2 and 8. Eremina and Melnikova will compete for the all around, Illyankova for the uneven bars and balance beam, while Paseka will fight for a medal on vault. Last week, it was reported that Paseka's participation in Montreal is in doubt due to knee problems. The Russian gymnast was set to do an MRI scan whose results determined whether she will compete. This will be Paseka's second World competition and, Eremina's, Melnikova's and Ilyankova's first. Paseka was named to the 2013 Worlds but had to withdraw after injuring herself during podium training. At 2015 Worlds, she won gold on vault. Melnikova turned senior last year (the Olympic year) while Eremina and Ilyankova are first year seniors. As for the men's team, Russia selected two time Olympic medalist David Belyavskiy, Olympic silver medalist Nikita Nagornyy, European vault champion Artur Dalaloyan, five time Olympic medalist Denis Ablyazin. two time European champion Nikita Ignatyev and Sergei Eltsov. Russia's Maria Paseka might sit out the upcoming World championships which will be held next month in Montreal, Canada. Russian head coach Valentina Rodionenko told TASS that Paseka injured her knee during this year's competitions. She will undergo an MRI scan on her knee and if the result was positive she’ll be preparing to compete on vault doing a full training load. Despite criticizing the two time Olympian for her performance at the last European championships and Universiade Games - where she failed to make the podium in the first and lost the gold medal after a fall in the second - Rodionenko said that she prefers sending a team of Eremina, Melnikova, Ilyankova, and Paseka. "The majority of the Worlds team is already decided, it will all depend on the athletes’ health, whether they will get injured," said Rodionenko. "For the WAG competition, we can send 4 athletes. Angelina Melnikova, Elena Eremina, and Anastasia Ilyankova are surely taking the three spots, while the fourth spot is open at the moment." "The main candidate is Maria Paseka, but we will make the decision about her after the verification training which will happen two weeks before we fly to Canada." According to Rodionenko, Elena Eremina and Angelina Melnikova are set to compete as all arounders while Anastasia Illankova is set to fight for medals on balance beam and uneven bars. Alexander Zhukov, the president of the Russian Olympic Committee (ROC), is thrilled about Aliya Mustafina's comeback as he called the news an outstanding one. 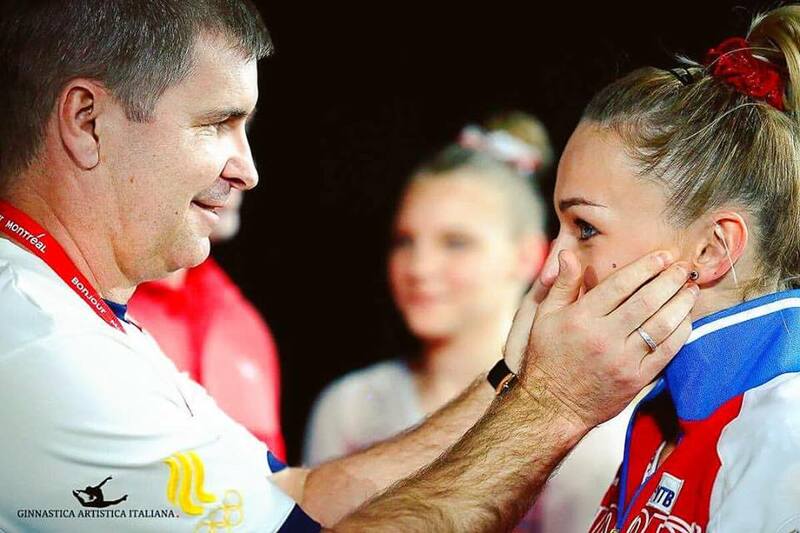 "The return of Aliya Mustafina is good news, simply outstanding news," Zhukov said in an interview with TASS. "Aliya is a prominent gymnast. I am glad that she made this decision and I wish her future victories." Zukhova added that he has faith that Mustafina will be able to regain her former level in time of the most important international competitions. "This is not the first comeback to sports for Aliya (Mustafina) and she proved it with excellent performances," Zhukov stated. "I personally handed her the awards at Rio (2016 Olympics) for her performance at uneven bars. I had no doubts about her success at that time and therefore signed up for the awarding ceremony in advance. I hope there will be more reasons in the future to do it again." The Russian athlete married bobsleigh champion Alexey Zaitsev last November and gave birth to a baby girl eight months later. Her last competition was the 2016 Olympic Games where she successfully defended her Olympic bars title and won a silver with the team and a bronze in the all around. Mustafina is considered to be one of the greatest gymnasts Russia has ever produced. 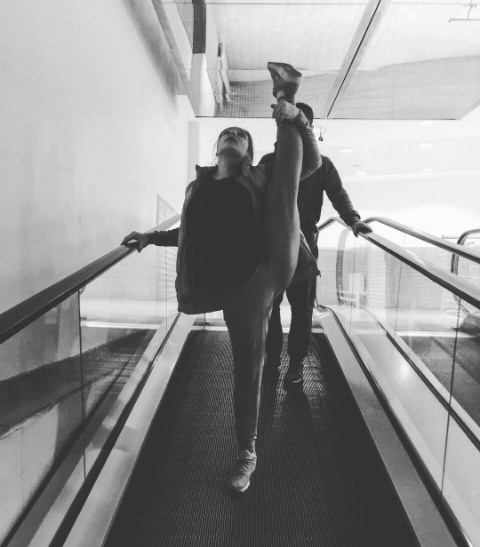 We fell head over heels for Maria Kharenkova after her impressive performance at the Russian cup which was held recently. She had solid performance, especially on floor exercise and balance beam, which earned her three medals - a gold on floor, silver on beam and bronze in the all around. Despite that, Valentina Rodionenko said that Kharenkova, along with first-year senior Anastasia Ilyankova, are not competitive at Worlds level on balance beam. Illyankova was named to the Russian Worlds provisional team, which was announced a little more than two weeks ago, while Kharenkova was not. It is worth mentioning that both gymnasts have been dealing with injuries recently. Maria turned senior in 2014. She is the 2014 European beam champion and 2015 European all around silver medalist. She made the 2014 and 2015 Russian World teams but failed to advance to any individual final. A month before the Olympics, it was announced that Maria was out of contention for the Games due to unbearable ankle pain. It seems that Paseka would still get to compete at the upcoming Worlds even after her performance at Universiade Games which Valentina heavily criticized her for. Paseka fell on her Amanar thus losing the gold medal. Valentina was deeply impressed by Eleonora Afanasyeva, who gold on vault at the Russian cup. She said that they will work with her but it will be difficult to name her to the Worlds team since Paseka is currently more competitive on the event. While she is not pleased with the difficult score of World bars champion Daria Spiridonova. Spridonova who did not compete at Russian cup as she has performed at Universiade Games where she won gold on bars. It's official! 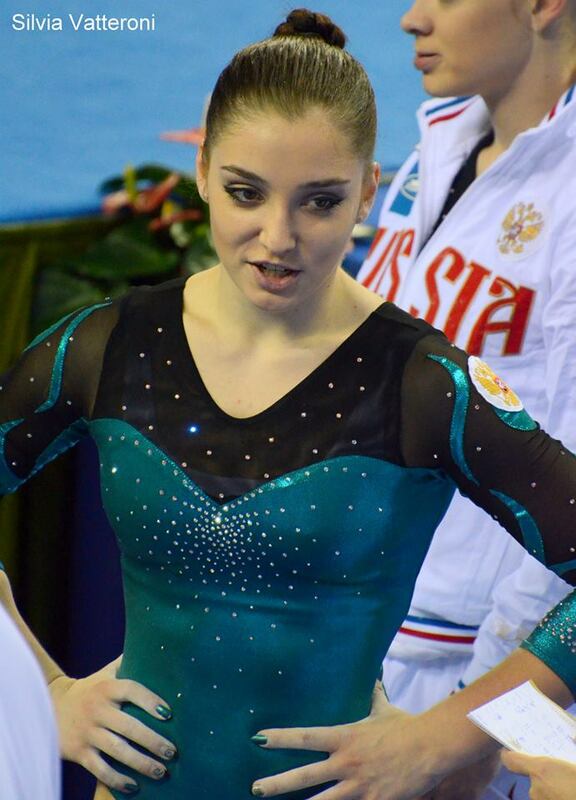 Mustafina is coming back. The Russian gymnast has profoundly confirmed her return to gymnastics in the media. She has even set a date which is September 3. Her two months old daughter 'Alisa' and her mother will accompany her to the round lake where the national team trains. Her mother will work as a math and physics teacher there and will help take care of the baby when Aliya is busy training. The athlete believes that it won't take long for her to get back in shape as she did not gain much weight after giving birth. Her first goal is to regain to fitness then return to her former level..
She is eyeing next year's European championships which will be held in August. According to head coach Rodionenko, Aliya is highly motivated and eager to start training. Her return was previously planned to be after the World championships, which will be held next October, but the Olympic champion could not wait any longer and decided to return next week. She has also taken to Instagram to affirm her comeback. Почему я решила вернуться в спорт? Да потому что я скучаю скучаю по вам девчонки(отметила только кто есть на фото, вообще их на много больше), по тренерам, которые со мной работали столько лет, скучаю по спортивной форме (а то пресс как будто растворился, ну и все остальные мышцы тоже), скучаю по выступлениям. Конечно желания проверить свои силы присутствует огромное) после травм получилось восстановиться, и интересно, получиться ли после рождения Алисы😊 надеюсь что да) хочу сказать спасибо федерации спортивной гимнастики России, за то что позволили мне начать тренироваться сразу на круглом🙏🏻 настрой боевой, желания хоть отбавляй, хватит на всех))) Но я поняла, что если бы я так не скучала по всему что связано с гимнастикой, даже и не пыталась бы. Aliya Mustafina is ready to get back training, Russian national team coordinator Valentina Rodionenko has revealed to tass.ru. The Olympic champion gave birth to her first daughter Alisa last June, and, after a well-deserved post-natal break, seems now ready to resume training. 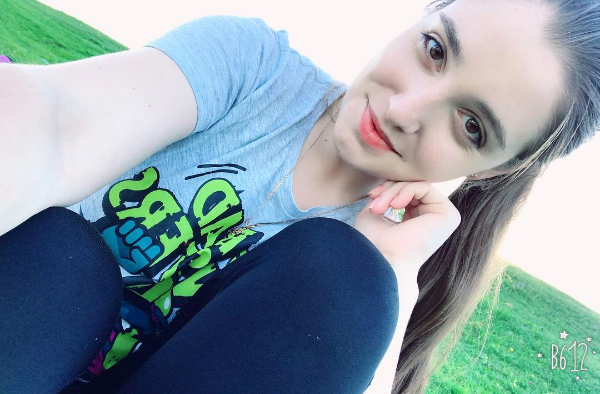 According to Mrs Rodioneko, Mustafina phoned her to be granted permission to start training at Round Lake again. Rodioneko agreed to have a meeting with the Olympic champion to discuss her training schedule and her goals for the years to come. The meeting is taking place next week on 3 September. Mustafina’s goal is to prepare for the 2018 European championships. 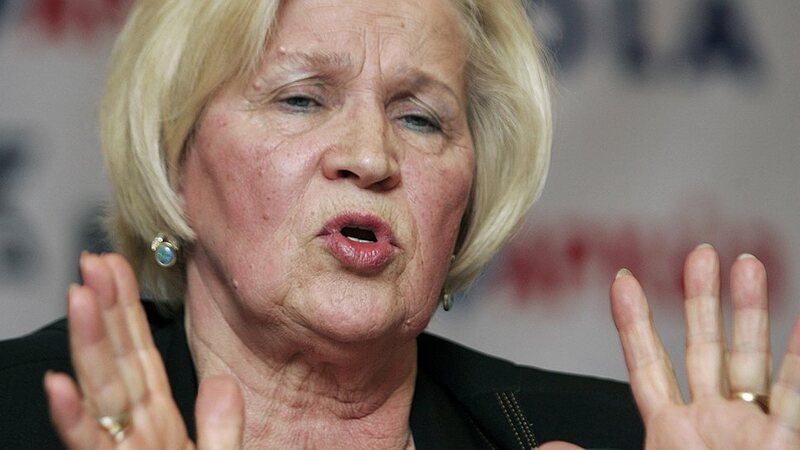 Next year’s Euros, Mrs Rodionenko explained, are held in August, rather than in the spring, as they normally are. 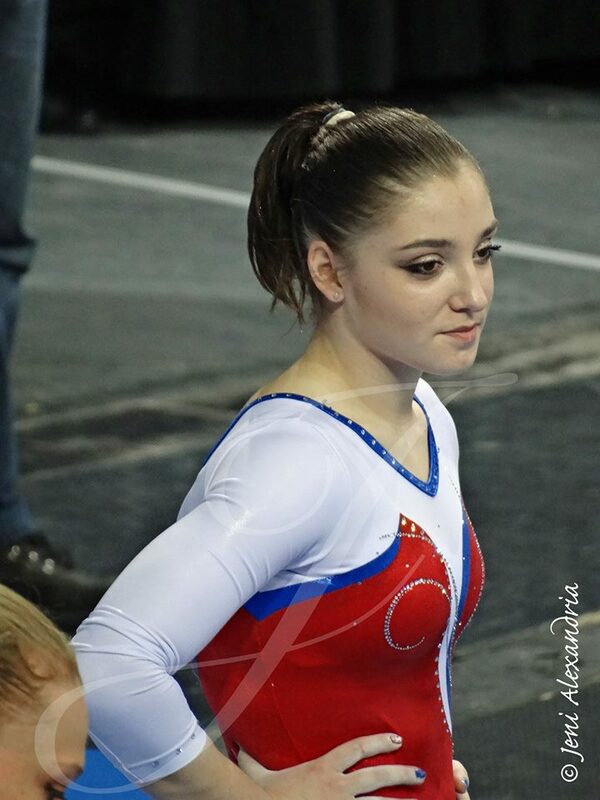 Mustafina then believes that she has enough time to prepare for them. Mustafina’s condition in August 2018, Mrs Rodionenko added, will also be very telling as to whether or not the Olympic champion will be ready to compete at the 2018 World championships, scheduled for November 2018 in Doha. Aliya Mustafina is a seven-time Olympic medallist. She is a back-to-back Olympic champion on the uneven bars, as well as a back-to-back silver medallist with the team and a back-to-back bronze medallist in the all around (all 2012 and 2016). Mustafina also owns a bronze medal on floor from the 2012 London Olympics.